Nowadays people are getting busier than before so that they haven’t enough time or place to play a real soccer. 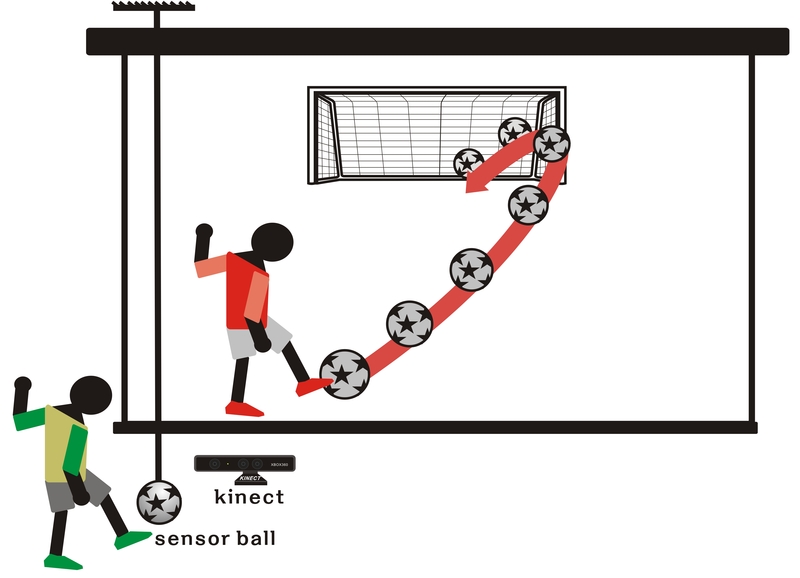 As a result, they choose to play soccer game, however, to play the soccer game, they have to use joystick or keyboard as a controller. In our opinion, we prefer to use our body and kick the ball to play soccer game. 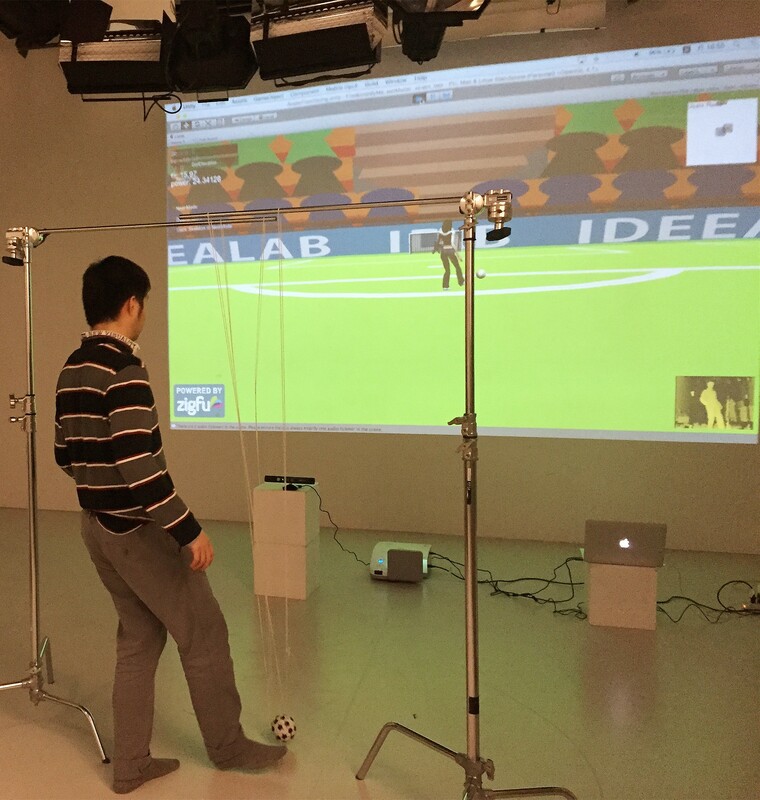 Therefore, we made a prototype consist of a sensor ball fixed by strings and the kinect to discuss whether it can be used in a somatic soccer game.